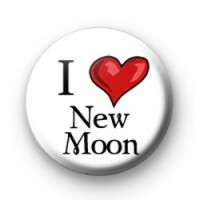 I Love New Moon. One book from the Twilight saga which is now a massive movie. Edward Cullen Jacob Bella Swan. 25mm pin button badge. Fan Vampire.